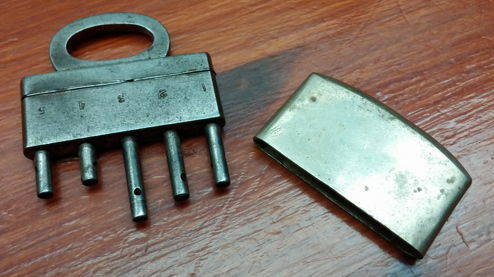 What brand of lock is this? At the Toool evening, Maurice from kluisspecialist.nl showed us one of the locks in his collection. It is a really interesting lock. I’ve never seen a lock with such a key before. And it’s old. But that’s about all that we know. Do you know more? Please leave a comment. The keys are in a protective metal holder and they have 5 hollow pins. 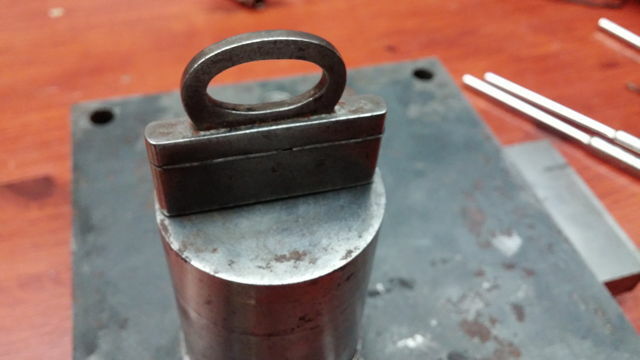 The lock is opened by inserting the key fully and the retracting it. 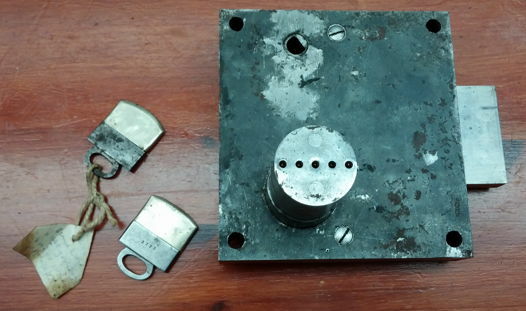 The mechanism is such that closing the lock after it has been opened, resets the lock mechanism. 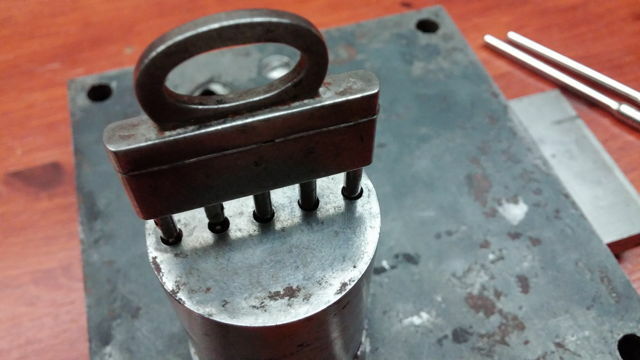 On the key you can see a horizontal stripe, this is a metal strip that, when removed, allows the key to be re-keyed. Entries (RSS) and Comments (RSS). 43 queries. 1.149 seconds.